We follow rum cocktails through the years, and watch as they and their origin myths get muddled while they fall in and out of fashion. The ultimate cold weather, after dinner pick-me-up -- like a hot toddy but with espresso. Give boozy cakes a chance with this apple rum cake. The Country Life cocktail gets a sporting makeover. Everything you need to know about citrus for cocktails, plus a famed daiquiri variation inspired by Havana and Hemingway. 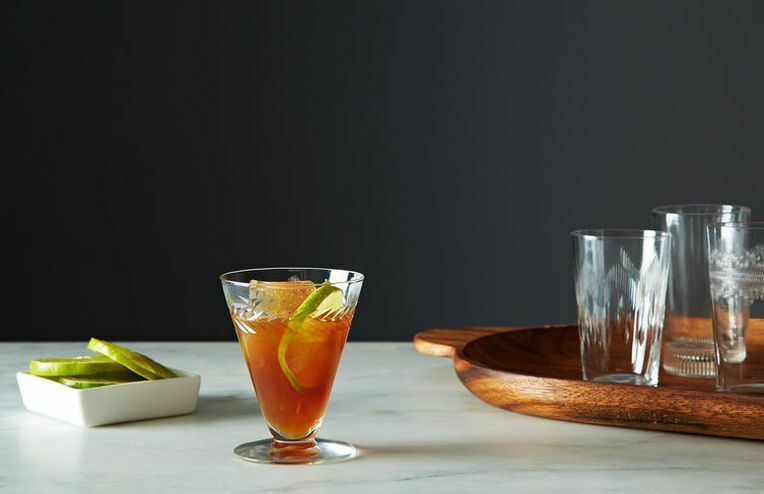 Festive, fuss-free drinks to serve a cheering crowd. Amanda shows off two classic cocktails at the intersection of ginger and lime. Too Many Cooks: What's Your Favorite Cold-Weather Drink? You'll be hearing from the staff at FOOD52 every week in Too Many Cooks, our group column in which we pool our answers to questions about food, cooking, life, and more. It snowed in New York this week, which sent us scrambling not just for our coats, scarves, hats, and mittens, but also for our saucepans. Why? To make warm drinks, of course. This week we're sipping from our mugs by a roaring fire and answering the question: What's your favorite cold-weather drink? Be sure to check out Peter's nostalgia-licious hot chocolate memory! The Classic Daiquiri looks a little different than you remember.